Logese Anna is a 14 year old student of Nyanza Primary School in Uganda. Anna's nights were fully consumed with helping her mother with chores: fetching firewood, taking care of her siblings, cleaning her house, washing dishes, laundry, preparing dinner, and leading the family in prayer before they would eat a minimal dinner inside their small mudhome. And only after this, would Anna begin working on her homework. She does not sleep at school because her mother has no means of paying for accommodation and food. Most of the time she is reading from home by candle light or kerosene since they have no clean light at home. 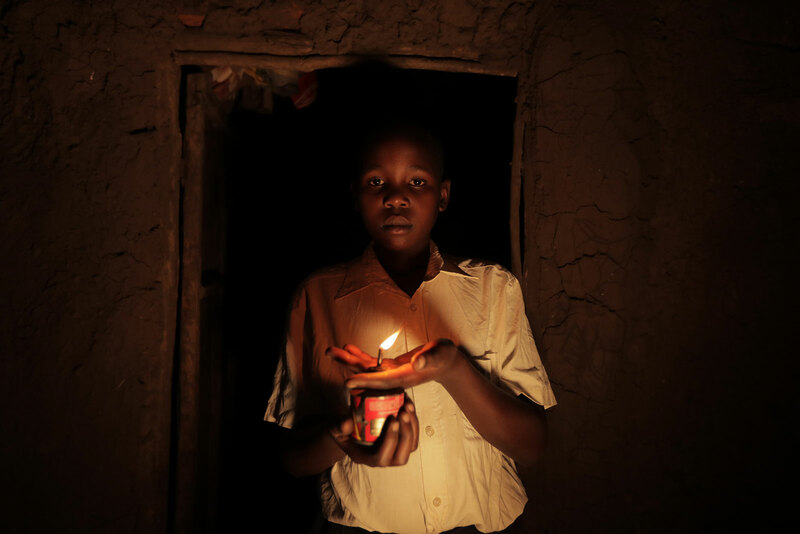 As Nyanza Primary School also uses candles within the classrooms, in order for the students to have extra time on revisions and receive extra help, this is sadly Anna's harsh reality. But for Anna and the rest of her classmates at Nyanza Primary School, kerosene and struggles of falling behind in school are mere issues of the past. Now Anna and more than 1,000 of her classmates have the freedom to use solar energy and light in their classrooms. Her dream of becoming a teacher is now tangible and can be achieved, thanks to the gift of solar energy and light.